By completing this form you consent to The Roasting Pig storing your contact details for the duration of your enquiry. Your details will not be shared with a third party. 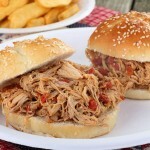 Is Pulled Pork on the Rise in the UK?